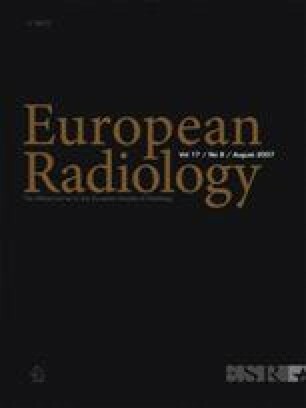 Based on soft evidence that ultrasound screening tends to reduce the rate of late developmental dysplasia of the hip (DDH) and the need for surgical interventions, different screening strategies including universal or selective ultrasound screening have been established in several European countries and centres during the last decade. We performed an extensive search for articles on ultrasound diagnosis of developmental dysplasia of the hip over the last 26 years. A few studies reported an adequate repeatability for the static [Graf, Morin, modified Morin (Terjesen)] and for the combined static/dynamic methods [modified Graf (Rosendahl)], while no such reports were found for the dynamic (Harcke) ultrasound techniques. The effect of newborn ultrasound screening on late DDH have been addressed in two randomised trials (RCTs), both concluding that both selective and universal ultrasound screening tend to reduce the prevalence of subluxed or dislocated DDH, thus without reaching statistical significance. Finally, several observational studies have shown that morphologically normal hips tend to remain normal with or without a co-existing instability, and 97% of sonographically immature hips tend to normalise spontaneously within 3 months. Two studies report on a similar pattern for mildly dysplastic, but stable hips. From the data available we suggest that selective ultrasound screening is worthwhile in areas with a high prevalence of late cases, given a well-organised, high-quality service can be provided.